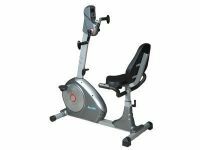 Recumbent Bike AF 880R-G Aerofit recumbent bikes are built to perform to the scrutinizing standards of commercial health club equipment. 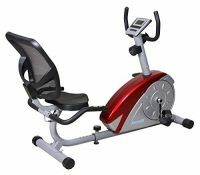 Compare the features of the Aerofit recumbent bikes and you will find how quality components, precision engineering, state-of-the-art electronics and the best quality in the industry combine to make Aerofit the premier name in home cardio fitness. Heavy Gauge Welded Steel Construction. 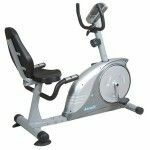 Aerofit recumbent bike boasts a beautiful silver metallic coat finish on a frame designed to accommodate up to a 120 kgs user. Comfortable Lumbar Support. 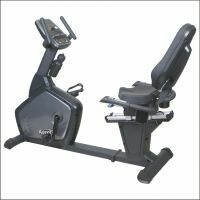 The non weight-bearing advantage of a recumbent bike is greatly enhanced by the flex back cushion padding. 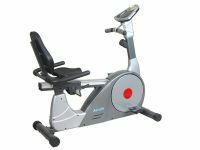 You will be more comfortable extending the length of your workouts, thereby enhancing the cardiovascular benefits of your routines. Constant heart rate display keeps in the desired training for Progressive cardio-improving and weight loss. Rotating part adopts the high-quality bearing, durable in use and there is no noise while using. Comfortable Lumbar Support. 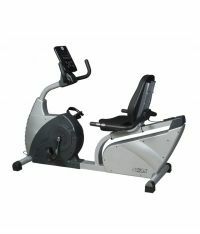 The non weight-bearing advantage of a recumbent bike is greatly enhanced by the flex back cushion padding with lumbar support featured on this bike. 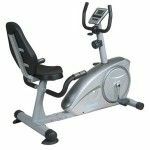 You will be more comfortable extending the length of your workouts, thereby enhancing the cardiovascular benefits of your routines. 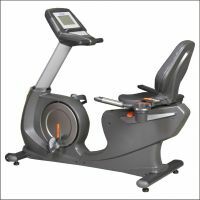 Display Feedback Multi feedback read out Instantly displays time, distance, RPM, Calories, Pulse, resistance level, speed, Personal, Watt. Display LCD with blue back light scrolling text, computerized console. Pedals Self Balanced extra wide paddles with adjustable straps fit to any size user. close Spacing, & shock absorbing air cushion,provides gentle movements. 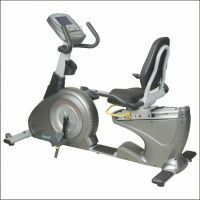 Cardio Monitor In built hand grip pulse sensor provided with rear handle bar grips enables to the cardio monitoring on board. 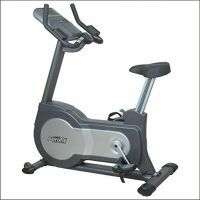 Frame Structure Extra sturdy and stable steel frame construction/Arched Support frame for maximum durability & stability. 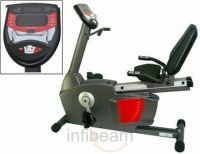 Handle Bar T-Bar Style at console and rear handle bar with contact heart rate sensor. Programs 21 programs – 12 Preset, 1 Manual, 1 HRC, 1 Watt, 1 Body Fat,1 Personal, 1 to 4 User Program. Seat Ergonomically designed comfortable seat with flex back cushion contoured for lumbar support with 27 levels seat easy slide adjustment. Accessory Holder Book holder on the upper case of consol. Transportation Transportation wheel for easy movement. 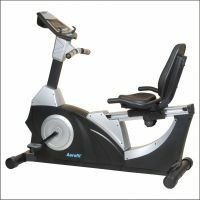 To Recieve updates and possible rewards for Aerofit AF 880R-G please sign in. To Recieve updates and possible rewards for Exercise Bike please sign in.